We enabled the treatment almost 14 million people for seven debilitating neglected tropical diseases (NTDs), saving lives and improving livelihoods. 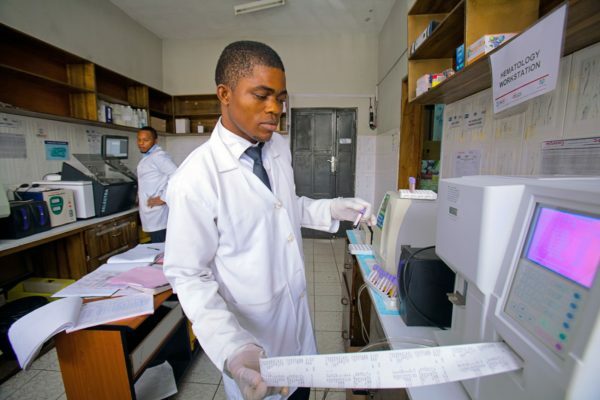 We partnered with Sightsavers and the Nigerian Ministry of Health to strengthen the Neglected Tropical Disease supply chain, eliminating inefficiencies common in parallel disease systems across five states in Northern Nigeria. Drugs were given to communities in Mass Drug Administrations (MDAs), co-ordinated by Sightsavers. Our supply chain professionals were embedded in state medical stores and ran training sessions and delivered bespoke monitoring and evaluation to build the skills and performance of health service staff.